Do you have some angry hairs hidden beneath your skin’s surface after shaving, waxing, or epilating? It’s possible that you don’t know how to prevent ingrown hairs. Don’t worry – that’s what we’re here for. Once you get an ingrown hair, it can cause pain, irritation, and even infection. Knowing how to avoid ingrown hairs in the first place is the key to not having to deal with ingrown hair removal later. This article can be your go-to resource for learning how to stop ingrown hairs in their tracks so that you can have a simple hair removal process without unsightly, uncomfortable ingrown hair. Although keeping your skin clean isn’t necessarily a step that helps you learn how to stop ingrown hairs, it’s an important step toward keeping you safe and healthy if you do happen to get some. If they aren’t treated quickly, or if bacteria become trapped underneath the skin’s surface with them, ingrown hairs can cause severe infections. Keeping your skin clean can ensure that, if you do get an ingrown hair, you’ll have less risk of developing an infection from it. Moisturized skin can also help prevent ingrown hair. Lotion keeps your skin soft, which can help hair penetrate the surface and make it easier for your razor or epilator to grab them. Just be sure to get into a regular, daily moisturizing routine to replenish your skin’s moisture consistently. Don’t use lotion directly before you remove hair, though, or your lotion could clog pores and get trapped beneath the surface to cause an infection. Instead, wait a couple of hours after applying lotion to begin the hair removal process. To prevent ingrown hairs on the face or other areas of the body when you shave or epilate, you need to first do a thorough check of your skin to ensure that there aren’t already some there. Removing these hairs is essential so that they don’t get further buried underneath the skin or become irritated when you pass a razor or epilator over them. Ingrown hair removal with tweezers can be a simple process if the hair is already right near the surface. You should only attempt this if you can see some of the hair sticking out from the skin. Soften the skin by running a washcloth under warm water and pressing it onto the area of the ingrown hair. Use your tweezers to gently pull up on the part of the hair that’s protruding from the skin. Slowly and carefully remove the hair. If you notice that it’s not releasing as easily as you thought it would, you should leave the hair in place. Do not try this method with hair that’s below the surface because you could cause pain and infection from cutting the skin. Exfoliating your skin regularly can be a number one defense to prevent ingrown hairs after shaving or epilating. Exfoliation removes dead skin cells, which are what usually traps ingrown hairs beneath the skin. The fewer dead skin cells you have, the better your chances for keeping those pesky ingrown hairs at bay. Regular exfoliation removes the skin cells you don’t need so that the outer layers are as supple and healthy as possible. Hair follicles will have an easier time penetrating these healthy layers than they will tough, dead skin cells. In a warm shower or bath, gently apply an exfoliating scrub with an exfoliating brush or loofah. Small, circular motions provide a gentle abrasion without irritating skin. Moisturize with your favorite lotion after you dry off to keep your new top layers soft and healthy. Get into the habit of exfoliating during every bath or shower. 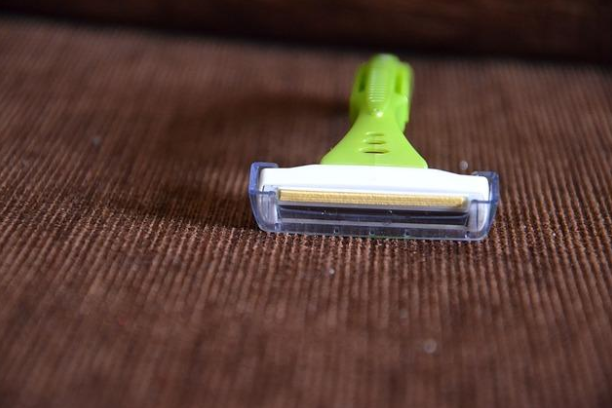 The key to preventing ingrown hairs after shaving is to use the best razor for the job. Although many people believe that the more blades their razor has, the better it will be, that’s not always the case. When it comes to ingrown hair, a single-blade razor is the best kind to use, but only if it’s sharp and clean. Multi-blade razors can make it difficult to reach into parts of the body with curves, like the armpits, and could lead to ingrown hairs because the blades can’t pass over some hairs efficiently. A dull razor isn’t as useful as a sharp razor for hair removal, so they’re much likelier to cause ingrown hairs. Use a brand you trust but be sure to replace your razor or blade after every few shaves. Keep it clean between uses by rinsing it thoroughly and drying it with a towel. If you frequently get ingrown hairs from shaving with a regular razor, you may want to try an electric razor instead. They don’t cut the hair as close to the skin, so it could prevent ingrown hairs from forming. Once you find the best razor, you’ll want to brush up on techniques that can prevent ingrown hair. The way that you shave can be just as important as the razor you use! Shave in the direction that your hair grows, which can vary on different areas of your body. When hair grows back, this will help them grow the right way to lower the risk of getting stuck underneath the skin’s surface. Use a shaving cream that’s designed for sensitive skin. They leave your skin soft to help the razor glide without causing skin irritation or drying it out. Change your razor cartridge frequently, depending on how often you shave. If you shave daily, you may only get a week out of each blade; shaving only once or twice a week is likelier to give you a month out of your razor. Epilators can work well for preventing ingrown hair for some people. There isn’t necessarily a specific type of ingrown hair epilator designed to remove or prevent ingrown hair. However, using a high-performance epilator with several tweezers can make it quick and easy to remove hair from beneath the surface. 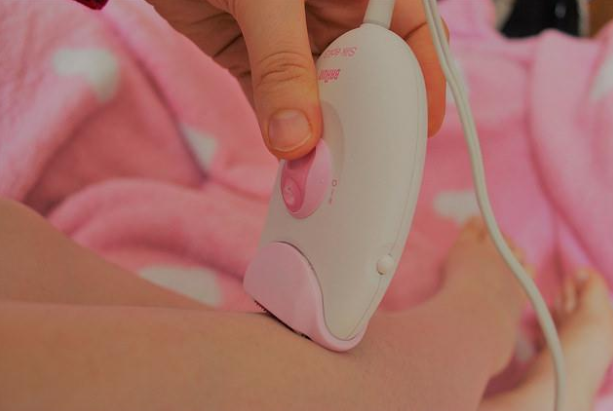 Look for an epilator with hypoallergenic tweezers, which can prevent irritation on sensitive skin. Also, pre-treat your skin as you would for shaving. Exfoliate it regularly, moisturize daily, and opt for warm water in the bath or shower to soften your skin before epilating. Whatever method you choose to remove hair, you should always take care of your skin after. Doing so will keep your skin healthy so that hair, when it begins to grow back, can penetrate the skin easily, rather than tucking underneath and becoming an ingrown hair. Clean your skin where you removed hair with a gentle soap. This can clean away bacteria from your skin that could get trapped in your pores and cause an infection if you do get an ingrown hair. Rinse your body with warm water to keep the skin soft. Moisturize using an unscented, hypoallergenic lotion that won’t irritate the skin. This will lock moisture in and keep your skin easily penetrable. Remember not to go overboard with shaving or epilating. You should wait until you see some hair growth so that your razor or epilator will have an easier time grabbing hairs. You can still wind up with an ingrown hair or two after taking all the necessary precautions to prevent them. Unfortunately, there’s no 100% foolproof method. Leaving them. Most minor ingrown hairs will correct themselves and not cause further problems. Use a warm compress to soften the skin and then use tweezers to pull an ingrown hair that’s partially sticking out of the skin. Do not try this with hair beneath the surface. Pads made for ingrown hair removal. These small pads usually contain salicylic acid or glycolic acid, both of which exfoliate the skin to help ingrown hairs reach the surface. Preventing ingrown hairs has much to do with how you pre-treat your skin, the tools you use and how you use them, and how you choose to take care of your skin after. By cleaning, moisturizing, and exfoliating your skin regularly, you can likely curb the issue of ingrown hairs. Now that you know how to prevent ingrown hairs, you can arm yourself with the necessary tools and proper methods for a good shave or epilation.